Hillview House was originally built around the 1840’s and extensively enlarged by Rev. W Law in the 1860’s. 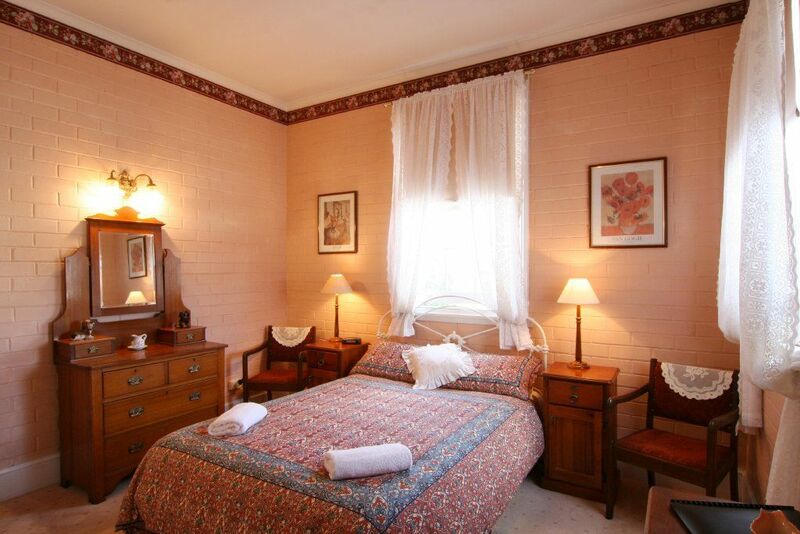 It has now been sympathetically restored to provide a charming stay for your Tasmanian holiday. We have given great attention to providing the modern facilities and well decorated rooms you expect. You will find a visit to Hillview House will leave you with fond memories of personal care and attention. 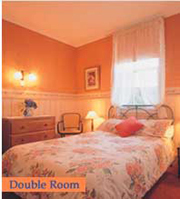 1 Double Bed and Cooked/ContinentalBreakfast.All our rooms are ensuited and have tea & coffee making facilities. 2 single beds. Cooked/continental breakfast is included.All our rooms are ensuited and have tea & coffee making facilities. Deluxe Queen Bed and Cooked/ContinentalBreakfast. 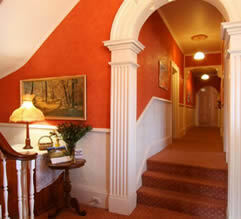 All our rooms are ensuited and have tea & coffee making facilities.